Ozzy Tyres understands the love our customers have for everything off road. It’s the feeling of escaping the overly hectic city life, ploughing through the streaming rivers and sitting around the bonfire after setting up camp. Especially with their Toyota Hilux because we all know it’s not just a vehicle, it is a lifestyle. 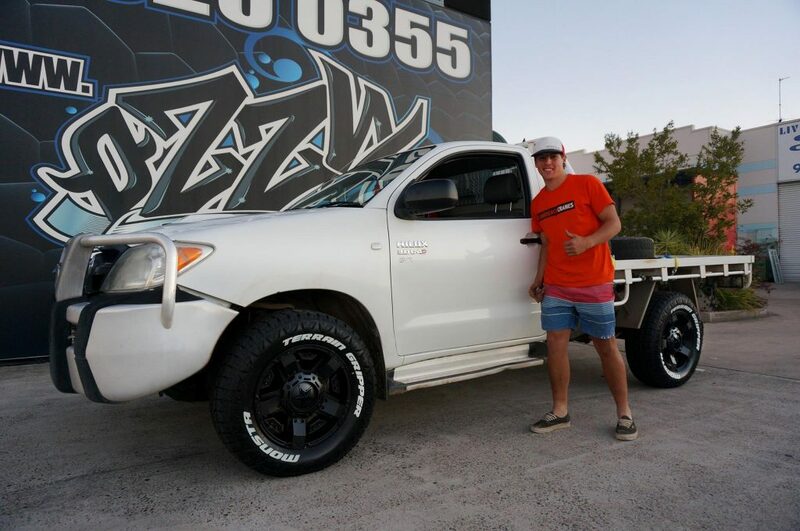 That is why at Ozzy Tyres we only provide the best quality Toyota Hilux SR5 Rims for our customers. If you want to take on the rugged Australian outback with your Toyota Hilux SR5, a set of modifications must be made before you’re ready to take on what’s out there. Such as a basic lift kit, bull bars, tow bars, and LED light bars for travelling at night, and most importantly a new set of rims and tyres. At Ozzy tyres, we know that it’s essential for your Toyota Hilux SR5 to have tough and durable rims and tyres to handle the rough terrain that’s to be been seen out there. So, give back to your vehicle by taking care of its essentials and giving it a solid and sturdy set of Toyota Hilux SR5 rims. 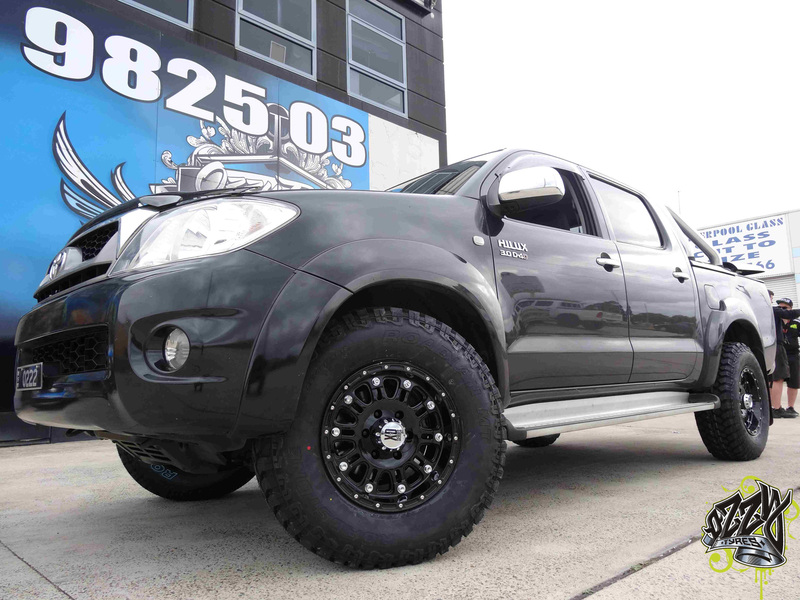 Want a quick quote for your Toyota Hilux SR5 Wheel and Tyre Packages? How many Toyota Hilux SR5 Rims do we have? Ozzy Tyres has the largest range of wheels and tyres offering 1000’s of different styles and sizes with big house-hold brands. Offering a diverse range of exclusive wheels and tyres that can only be found at Ozzy tyres for up to 60% off retail price. That means at Ozzy Tyres we don’t only sell exclusive brands and designs but we also sell it at the cheapest price in the market. 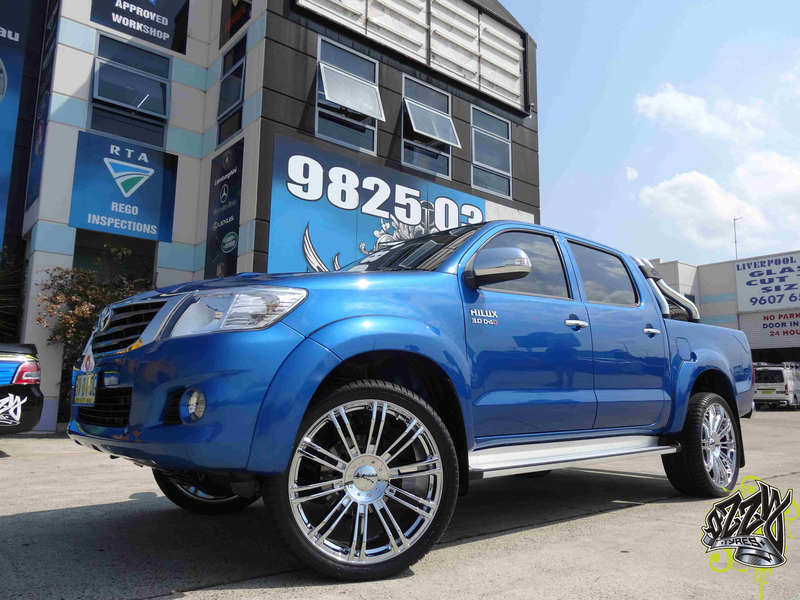 So, we guarantee that you’ll be impressed with the range of Toyota Hilux SR5 rims we have, to offer to you. From styles such as a thick multi-spoke design to a tough matte black riveted look, see for yourself all the different Toyota Hilux SR5 Rims on offer. Our Toyota Hilux SR5 Rims exceed the Australian standards, all backed with high load ratings to ensure your Hilux will conquer any trail you choose. A range of sizes and offset are available to meet all your requirements. 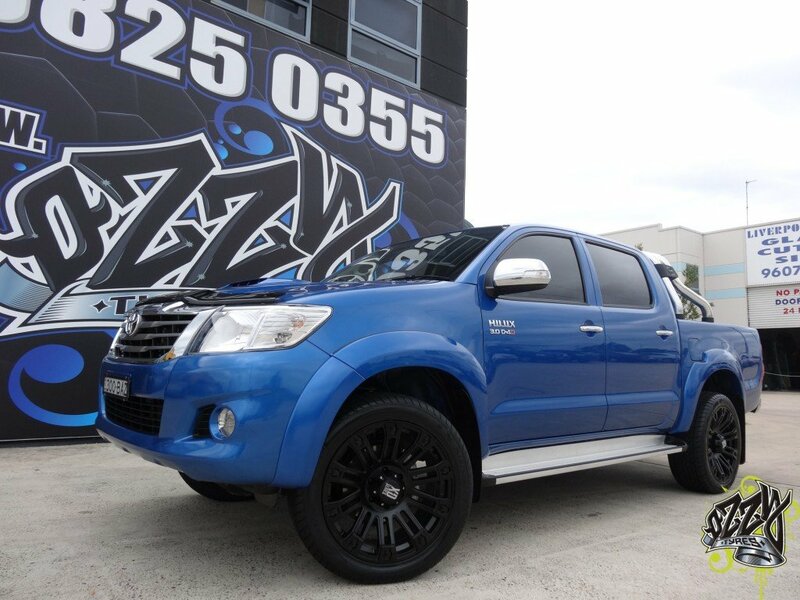 Get Your Toyota Hilux Wheels and Tyres From Ozzy Tyres Today! How Ozzy Tyres Can Help! Also, offering a fitment guarantee to make sure that you’ve purchased the right wheels and tyres for your vehicle. With our professional staff, to help with any questions you may have when purchasing your wheels and tyres for your Toyota Hilux SR5. 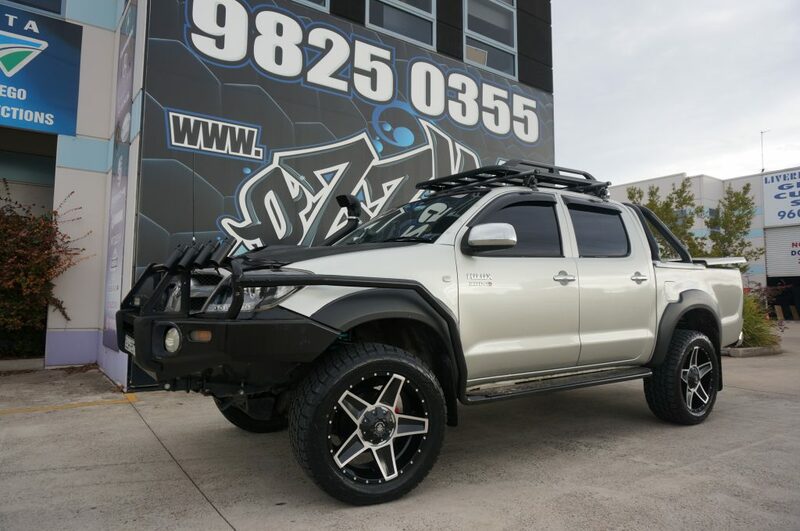 When purchasing your Toyota hilux SR5 rims online, all you have to do is fill out your vehicle details, and below our website will show you a whole range of rims that are available to suit your vehicle.Ozzy Tyres has been one of the leading forces in the wheel and tyre industry for the past 20 years and It's with this experience that you can be sure you've come to the right place for all your Toyota Hilux SR5 Rims' needs. 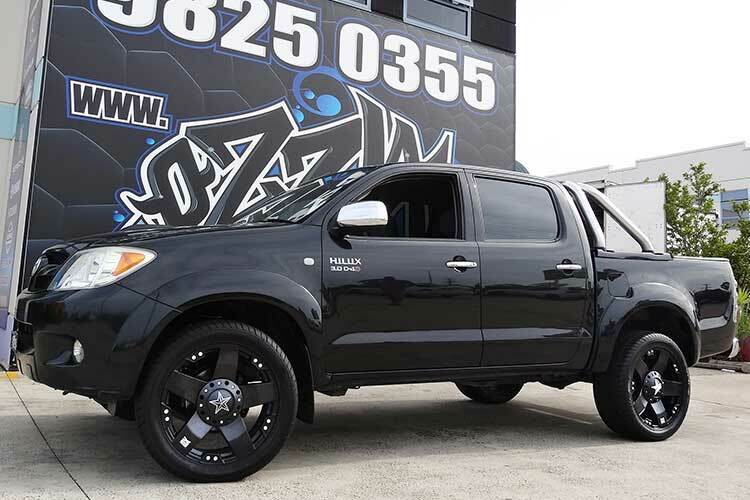 When you are looking for Toyota Hilux SR5 Rims, ensure that you make Ozzy Tyres your first choice as we have quality products sourced from around the world, at the best prices in Australia. 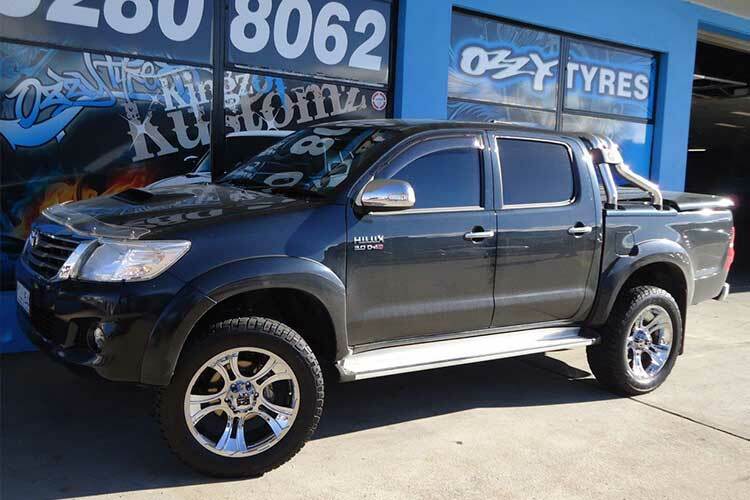 Ozzy Tyres has been one of the leading forces in the wheel and tyre industry for the past 20 years and It's with this experience that you can be sure you've come to the right place for all your Toyota Hilux SR5 Rims' needs. 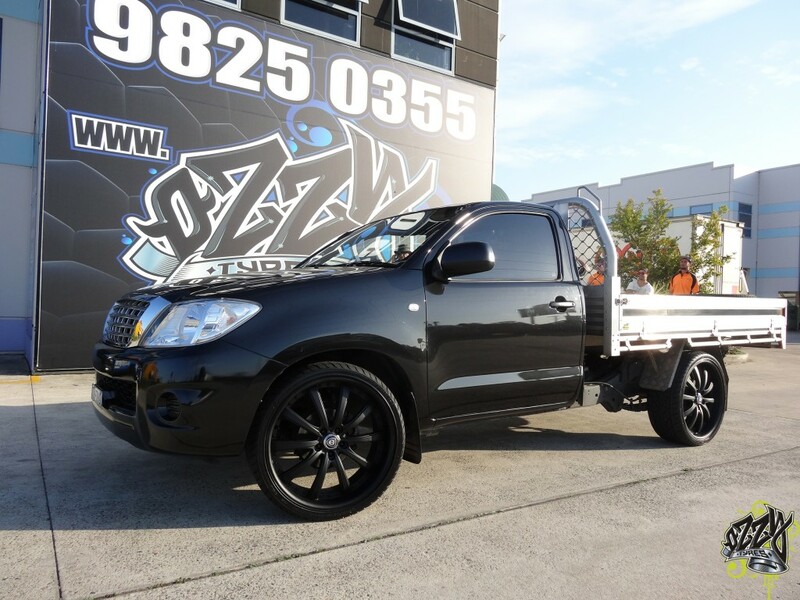 When you are looking for Toyota Hilux SR5 Rims, ensure that you make Ozzy Tyres your first choice as we have quality products sourced from around the world, at the best prices in Australia. Customize Your Toyota Hilux SR5 Today! 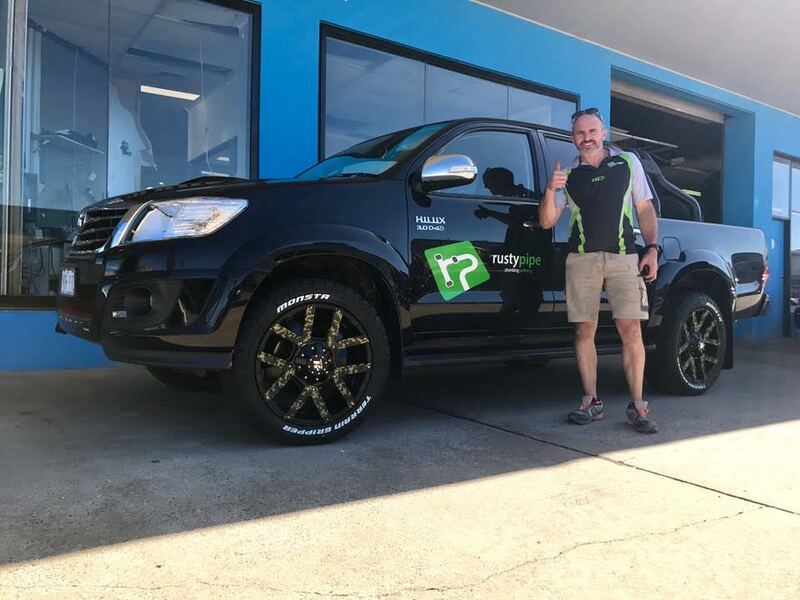 What makes Ozzy Tyres as Australia’s most preferred automobile store is its way of helping clients achieve a customized look and setup of their vehicles, especially the Toyota Hilux SR5. Our experts and working crew can recommend what the best tyre is for your Toyota Hilux as well as other vehicles. Plus, all of these come in affordable packages. As a 4x4 luxurious vehicle, the Toyota Hilux SR5 is great for off-road travels and long-drive transportation. Hence, it is not surprising that many people want to customize its wheels and other setups. Meanwhile, Ozzy Tyres offer discount coupons for clients who are registered in our official website. An email and SMS will be sent to you, confirming your purchase. Contact Ozzy Tyres now on 1300 699 699 or visit the online store to view a big selection of top quality Subaru Forester Rims in different styles at discounted prices.